Swissport International Ltd. today announced that Eric Born will assume his duties as new Group President & CEO of Swissport International (SPI) on 1 August 2015. 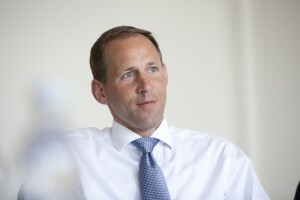 He will succeed Per H. Utnegaard, who will take on the role of Vice Chairman of the Board of Directors of SPI. Opfikon, Switzerland, 2015-4-23 — /Travel PR News/ — The Board of Directors of Swissport International Ltd. is very pleased to announce that Eric Born has accepted to join the Group as President & CEO. Eric has a very strong track record in creating value and delivering sustainable results in private equity owned and publicly listed organisations across retail, logistics and aviation services. Prior to joining Swissport, Eric spent six years at Wincanton Plc, a leading logistics company headquartered in the UK and listed on the London Stock Exchange. He joined Wincanton in 2009 as COO before he was promoted to CEO in 2010. From 2004 to 2009 Eric was President Europe West/South and Member of the Executive Management Board of aviation services provider Gategroup. Prior to that Eric held several managing director positions in retail businesses in the UK as well as Switzerland. Eric also served as Non-Executive Director at John Menzies Plc, a leading distribution and global aviation services business from 2010 until 2014. Eric is a Swiss national and holds a BBA from the University of Applied Science in Zurich and a MBA from Simon Business School at the University of Rochester N.Y. This entry was posted in Airlines, Airports, Business, Transportation, Travel, Travel Management, Travel Services and tagged Dr. Thomas Staehelin, Eric Born, Per H. Utnegaard, Swissport International Ltd.. Bookmark the permalink.